Rio Tinto has committed to invest $3.4 million in the exploration of the Citadel project farm-in and joint venture (JV) with Antipa Minerals in the Paterson Province, Western Australia this year. 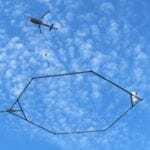 The budget will be allocated to drill testing of new aerial electromagnetic (AEM) conductivity anomalies and geochemical targets, on top of additional induced polarisation (IP) surveys. Antipa has resumed operatorship of the Citadel JV, including the execution of the 2019 exploration program immediately. It is also hiring additional and technical personnel to assure exploration at Citadel is “optimally and efficiently executed”. “In recognition of the increasing responsibility and workload of Mr Stephen Power, the executive chairman of the company, the board has decided to increase the salary of Mr Power to $250,000 per annum plus statutory superannuation entitlements,” Antipa said in an ASX statement. Antipa said it would also not allow the resumption of operatorship at Citadel “in any way impact on the exploration activities” of its other projects this year. 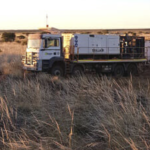 The company has past exploration success at Citadel with the discovery of the Calibre and Corker deposits, and in defining the project’s combined resources of 1.64 million ounces of gold and 127,000 tonnes of copper. Under the terms of the JV, Rio Tinto can fund up to $60 million of exploration expenditure to earn up to 75 per cent interest in the Citadel project. 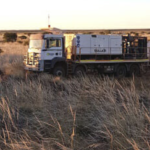 Citadel is around five kilometres east of Rio Tinto’s recently announced Winu copper-gold-silver discovery and 80 kilometres north of Newcrest’s Telfer gold-copper-silver mine in the Paterson province. 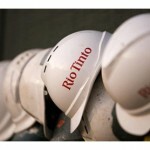 The copper-gold exploration program is subject to the completion of final planning and formal approvals by Rio Tinto.